In early 2017, one proposed as a then sitting member of the CDAA NSW Committee a webinar entitled Mental Health in Career Development. As a Career Development Practitioner, it is not our job to diagnose a client with a mental health condition, that is the role of the clients’ doctor, specialists and/or mental health practitioners. However, as Career Development Practitioners we do have a duty of care to all clients to ensure that no additional harm is done to our clients whilst they are utilising our services; and to ensure that we act ethically with respect to the administration of psychometric instrumentation. Thus, it is ones’ opinion that it is important for all individuals in the Career Development industry to understand the fundamentals of Mental Health in order to effectively facilitate our clients, identify signs and symptoms of Mental Health Conditions, to know when and how to refer clients to ensure due diligence is carried out and that career strategies engaged are effective, meaningful and ethical in accordance with the needs of the client, industry guidelines and regulations. In fact, one would go so far as to state that tertiary providers should incorporate fundamental Mental Health modules into their Career Development courses to ensure that all graduating practitioners have a basic understanding prior to entering the workforce or commencing their own private practice. Well Katherine, that’s a very interesting perspective but it doesn’t affect me or my organisation! Well, one is here to challenge you and to say Think Again! Have you ever wondered what it is like to find the right career pathway for you, to find your passion? Over the last couple of weeks I have had the privilege to work with two such individuals. The first soul whom cam to see me, came to have a Career Development Report produced. The individual soul in question came to me with some firm ideas about what they wanted to do but at the end of the psychometric assessment process had their interest piques in a totally new area; you could say their perspective or awareness was awakened. So much so that the individual soul telephoned me a copy of time before the delivery of their report and told me that they had discovered a firm interest in Primary Education as a result of the psychometric profiling session and had subsequently taken action and applied to university to do a bridging course in preparation for study next year; and now was just waiting to have the report delivered to put the final pieces of the puzzle into place. The second soul whom came to see me, had already transitioned into her passion (new career) a couple of years before hand and sought help to prepare her employment documentation for the next strategic career move. Interestingly both souls were in their 40’s, the first in their early 40’s the second in their late forties. At a time when most of us can become stuck nay bogged down in our career and life, because of life circumstances and/our mindset. These two individual souls broke the glass ceiling or pushed their way through the mud and reached new peaks, dispelling fears about starting over and/or not gaining employment because they were “too old” they simply established their goals and moved forward with confidence, determination and vigour. Employment Termination and Redundancy – What will you do next? Blu Ripples can help you move forward with clarity, direction, purpose and confidence. According to an Australian Bureau of Statistics (ABS) media release dated 19 April 2018, the national labour force participation rate is at an all time high of 65.7% which means that more individuals aged 15 to 64 years are working now more than ever before. Whilst the above is good news for our economy there is also the flip side of employment and the world of work. That is, the need to address underemployment, retrenchments and terminations and the associated impact of same. In the most recent ABS – Labour Market Statistics Report (July 2014) it was noted that 2 million individuals ceased their job in the 12 months to Feb 2013. Of those 2 million individuals, 19% or 381,000 were retrenched or made redundant. Thus, over the course of your career life cycle it is inevitable that at some point in your career you will experience this transitional period. In fact, many clients have reported that they have experienced this period 2, 3, 4 or more times over the course of their career. 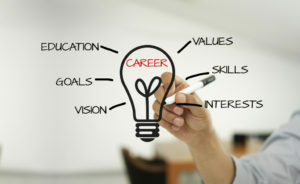 Career Development is a large umbrella or net that draws together a myriad of Career Services occupations and brands them together in one category with the purposes of facilitating and empowering a client in the exploration, development and management of their career over the course of their career life cycle. 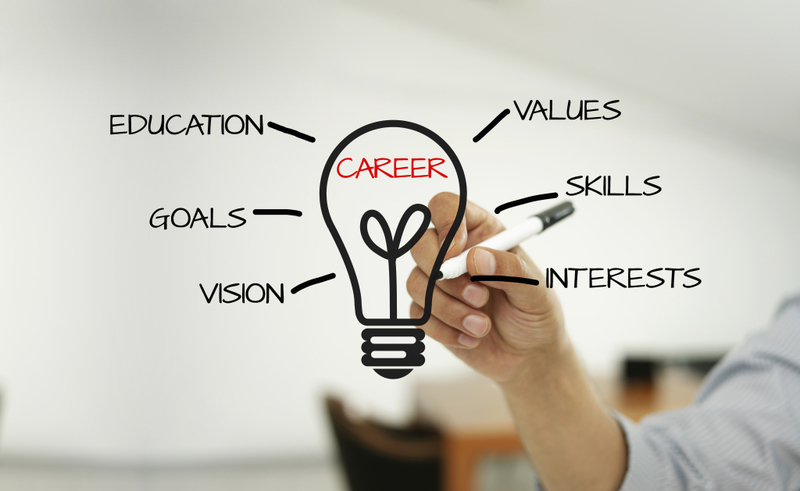 WHAT OCCUPATIONS FALL UNDER CAREER DEVELOPMENT ? As illustrated above, there are many occupations that fall under the umbrella of Career Development; which in ones’ opinion can potentially cause clients a great deal of stress trying to determine who is the appropriate service provider for me. Blu Ripples is proud to announce the launch of our Vocational Assessment Services webpage.